Our production facilities are designed to provide maximum yield with the very least impact on the environment. We currently operate two sulphuric acid plants with a combined production capacity of 112,000 metric tons per year. Both plants are designed and constructed by Desmet Ballestra S.p.A (Italy), one of the largest and most advanced providers of process technology in the world. They adopt Double Conversion – Double Absorption technology, and yield up to 99.8% conversion efficiency, making the process environmentally friendly and safe. As the entire process is a closed system, all functions of the plants are monitored and controlled by advanced electronic instrumentation, with in built safety and quality controls, which operate the plants 24 hours a day. We use stainless steel piping and other zero corrosion contact infrastructure, to eliminate any potential for contamination of the product by iron or other elements. Our dedicated on-site storage facilities can store up to 7,000 MT of acid, in leak proof steel tanks. We have a fleet of custom - made acid road tankers, which form part of our large - scale distribution infrastructure; this enables us to deliver to any part of the country and surrounding regions. In order to increase our delivery compatibility with virtually all industrial sectors and customers, we have recently introduced the capability to fill and transport our sulphuric acid in ISO tanks. • Less than 0.2% unconverted gas exits from chimney. 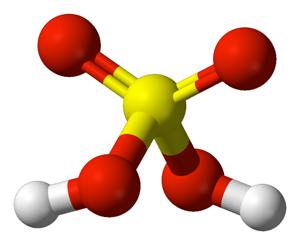 What is our Sulphuric Acid used for? Our Sulphuric Acid is used in a vast array of industrial applications. It is known to improve efficiency in numerous industrial processes and is considered by many as an invaluable raw material.